How Is Credit Scoring Used? Automobile lenders (banks, credit unions, etc…) use your credit score to determine what tier you qualify for. A higher score will result in a lower interest rate. A best practice for obtaining the most competitive interest rate is to know your credit scores. By knowing your credit scores and performing research online, you can obtain a very competitive interest rate. Most credit experts agree that having good automobile credit history will substantially raise your credit score. Prime, Sub-Prime, Below Sub-Prime. These are the three major loan categories. Your credit score is used to determine which of these categories your loan will be assigned. Interest rates are dramatically affected by which category your credit score falls within. These categories are explained below. Prime: If your credit score is 680 or above, you are considered a “prime” borrower. You should have very few problems in getting a superior interest rate on automobile loans, home loans or even credit cards. Sub-Prime: If your credit score is 560-679, you are considered a “sub-prime” borrower. You will pay a substantially higher interest rate on automobile loans, home loans and credit cards. Below Sub-Prime: A credit score at or below 559 is the worst of the three categories. You may have problems obtaining credit. In addition, you may be subject to paying very high interest rates and possibly additional fees. Payment History (35%). Your payment history weighs 35% of your credit score. Late Payments, Collection Accounts, Delinquent Accounts, Bankruptcies all affect payment history. Current Debt in Use (30%). Keeping balances below 30 percent of available limits helps to keep your score from dropping. Length of Credit History (15%). Lenders typically look to credit accounts that have been open a minimum of two years with no late payments. Recent Inquiries (10%). A large number of recent credit inquiries signal a red flag for potential lenders. Types of Credit in Use (10%). There are three major types of credit: credit cards (unsecured loans), mortgages (secured loans), and automobiles (secured loans). Each of the three major credit reporting agencies collects and reports information provided by businesses that extend credit to the general public. Each credit reporting agency utilizes a unique and proprietary method for calculating credit scores, hence the reason that all three credit scores are generally different. Automobile lenders (banks, credit unions, etc?) use your credit score to determine what tier you qualify for. A higher score will result in a lower interest rate. Most dealerships have access to multiple lenders and they have a significant amount of buying power with these lenders. Generally speaking, new car dealers selling used vehicles will have tremendous access to very competitive rates with local banks, national banks, and credit unions. Most credit experts agree that having a good automobile credit history will substantially raise your credit score. Looking to finance a car, truck in the Vero Beach Area? 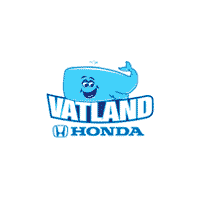 Visit the Vatland Honda Auto Finance Center today to speak with one of our representatives about your financing options!